The silk hangings on our windows were created by Eve Margo Withrow, now of Medford, Oregon and Terry Kreuzer of Cheyenne, Wyoming. 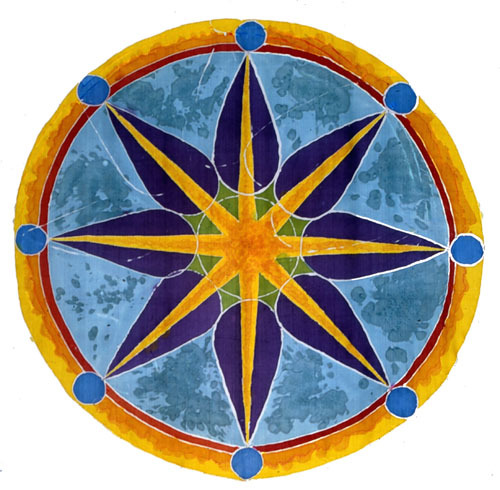 They represent some of the sources of wisdom and insight which we as Unitarian Universalists value in our lifelong search for the truth. 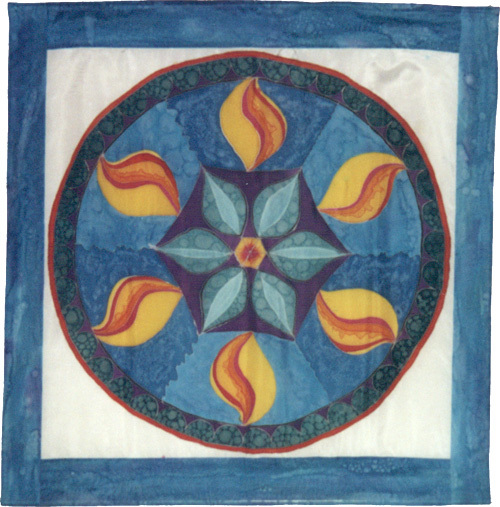 The mandala images you see here are extracted from these silk hangings. The wheel with eight spokes represents the Buddha’s eight-fold path: right views, aims, speech, conduct, living, effort, mindfulness and meditation. When followed with sincerity and discipline, these paths lead to enlightenment. 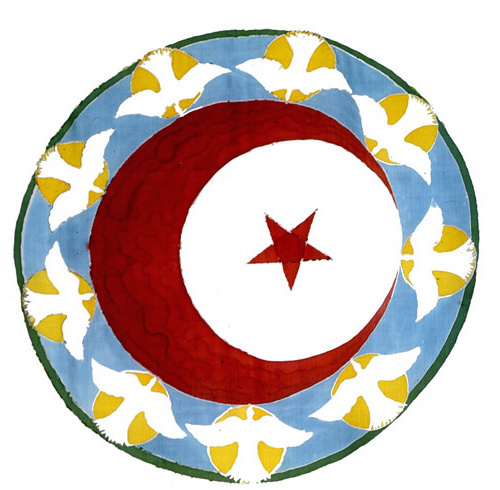 The crescent moon of Islam represents the lunar calendar while the star represents Allah, the divine. Surrounding these images are doves symbolic of Sufism, the more mystical path of Islam which emphasizes the Truth found in all religions. 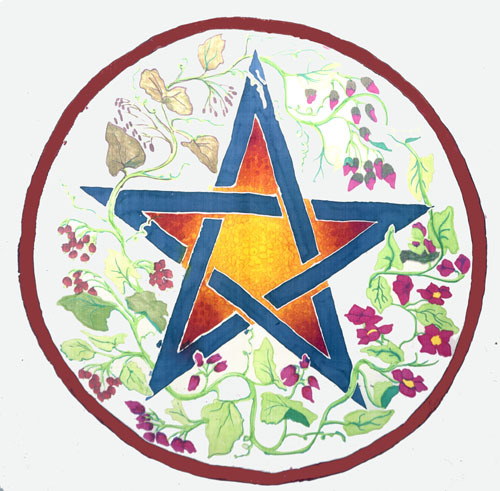 The pentagram is symbol common to various strains of modern Paganism. Intertwined with vines and flowers it emphasizes the Earth aware attitudes and the importance of protecting the ecology and resources of our planet common to earth centered religions. 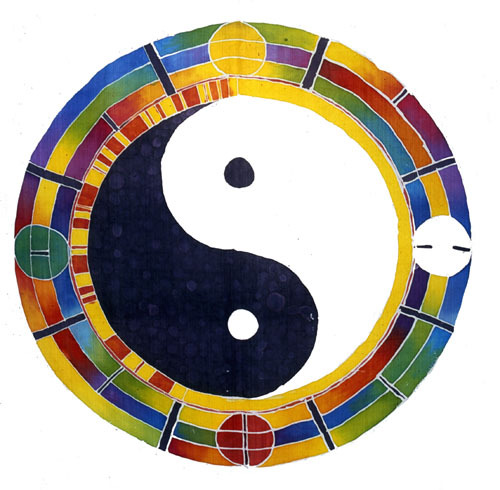 Taoism is a philosphical approach to stressing balance and harmony. 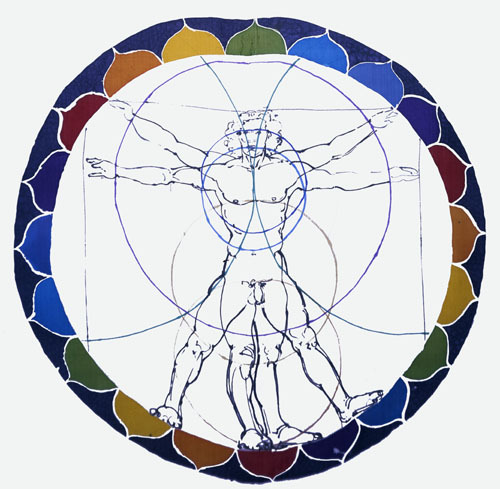 The symbol of the Yin/Yang, the balance of male and female energy found in us all, reminds us that maintaining balance is the basis of successful living. This mandala uses the Sanskrit depiction of “om” as its focus. 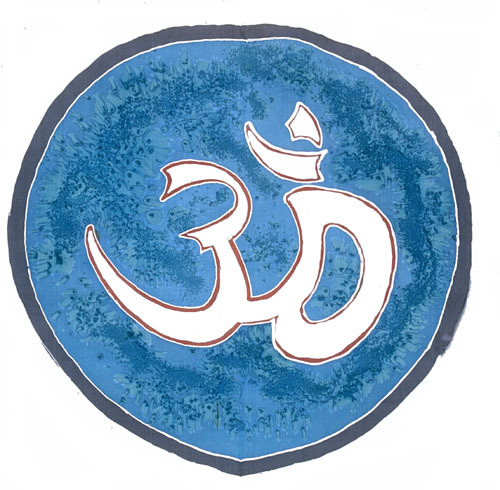 Om is considered by Hinduism to be the sacred vibration or sound out of which Creation emerged. Chanting “om” is thus one of the paths back to the One. This well known drawing by Leonardo DaVinci celebrates human ability, creativity, intelligence and the spirit of the enlightenment. The gifts of reason, scientific analysis and insight with which we have been endowed are to be used for the good of all on Planet Earth. The Star of David is the most common symbol of modern Judaism. 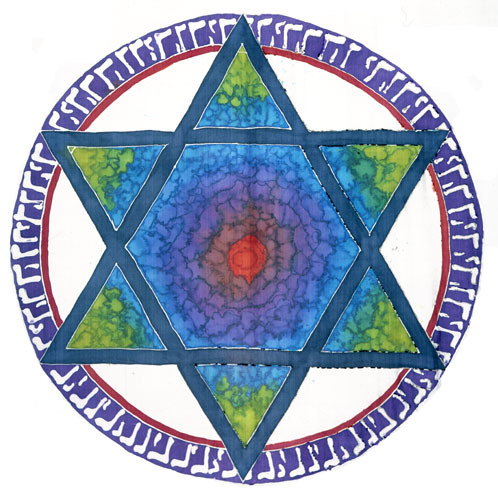 Within this mandala is an artistic impression of the primal creative energy, emphasizing Judaism’s role in creating an ethical monotheism based on the belief in one creator who brought everything into being. 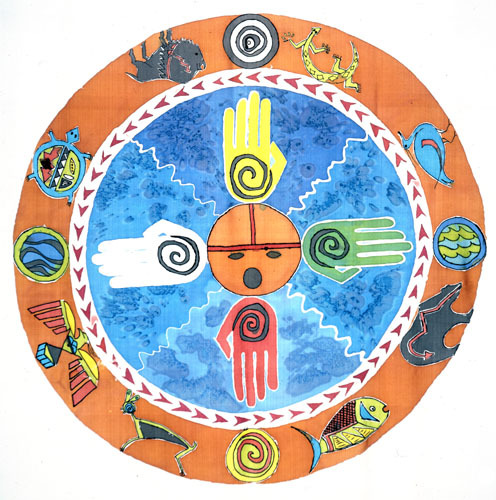 This mandala is inspired by the form of the Native American “Medicine Wheel” reminding us to honor the spirits of the different directions and the sacred energy in all life forms. All creatures are our brothers and sisters. 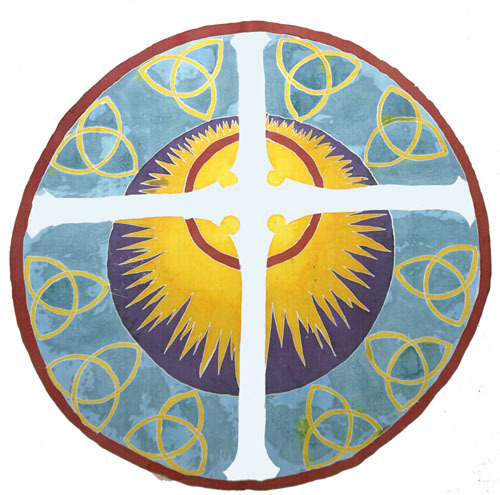 The Celtic Cross is used to create this mandala symbolizing the blending of the truth and light of the teachings and life of Jesus with the experience of mystical oneness found in the Celtic tradition.